Looking out over the old back patio from the kitchen window last summer, I could see every crack and crumbled spot. Every crevice seemed to be sprouting its own family grouping of dandelions and narrow-leaved hawk weed. The crevices in the tilting, broken slabs, finally damaged beyond repairing by long-gone frosts, had progressed past unsightly and were now flirting with downright unsafe. It was definitely time for backyard renovations - time to replace the patio. 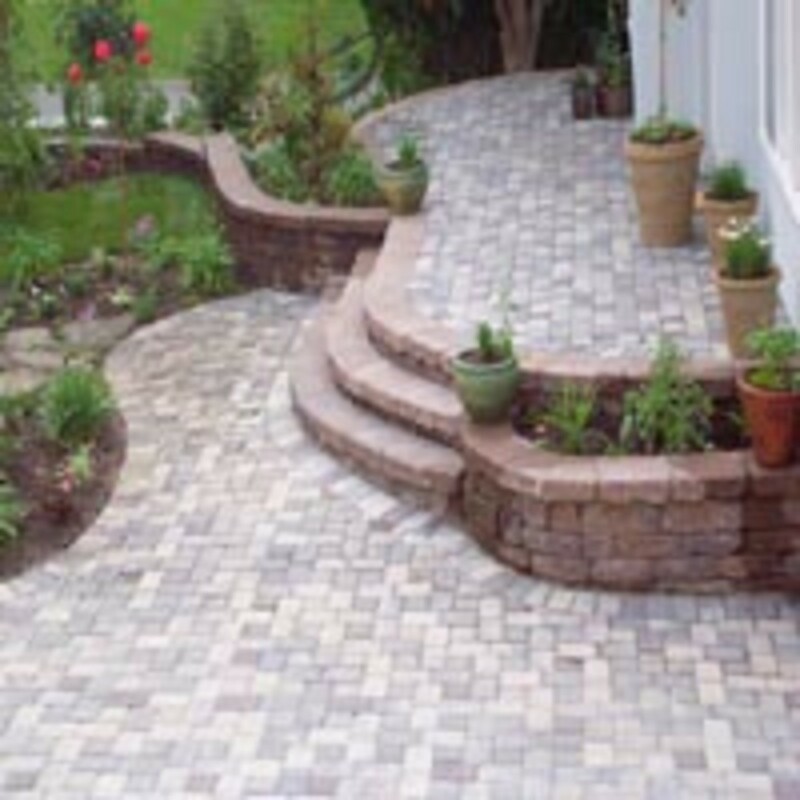 Visions of a beautiful new brick patio with retaining walls and a curved flagstone garden path danced in my head. We contacted our ever-friendly contractor, master of home renovations, to see what our remodeling guru thought our best options would be. 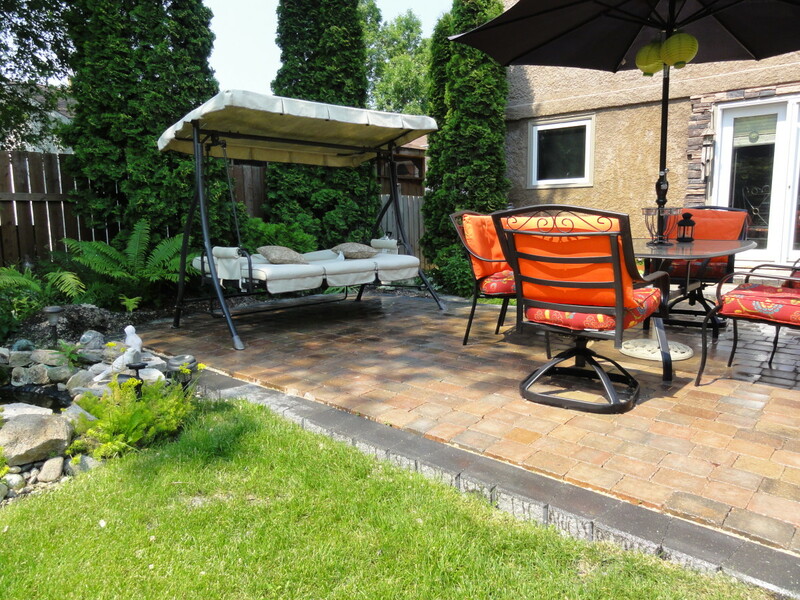 We had kicked around the idea of a stamped concrete patio, but were reluctant to simply replace the old cement patio with a new one, even though that was our most cost-effective option. The time we spent searching online and trudging from store to store looking at the products that were available seemed never-ending. In the end it paid off though, and by the time we had found a product that was within the budget and something we both liked, we had learned a lot about the various materials. 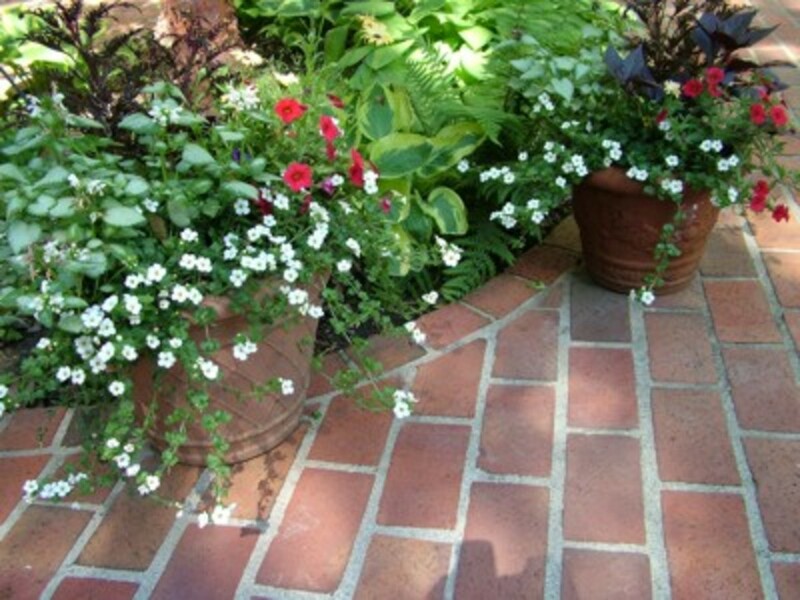 The large pavers are certainly faster to lay than the small bricks, and there are some lovely patterns available. They are also reasonably cost effective. We had experienced some problems with frost close to the house, though. The old pavement was cracked and heaved up in many places, and we didn't want to have to re-seat large pavers almost every Spring. We eventually decided on a brick patio. We opted for the slightly more expensive cobblestone style brick pavers. We liked the rounded, weathered edges and the color blends suited the old house quite well. The final shape was a flowing curved profile, taking up more space than the original. It was planned to be deeper on one side to accommodate the BBQ, and a patio table and chair set. The side under the kitchen window would remain about the same size as we had plans for eventually building a deck and three season sun-room off the dining room. We also decided on a round medallion pattern for the center of the larger side of the patio. It would be a perfect focal point for the table placement, as well as echoing the curved edge and the elegant curved, raised planters that were planned for that side of the new patio. 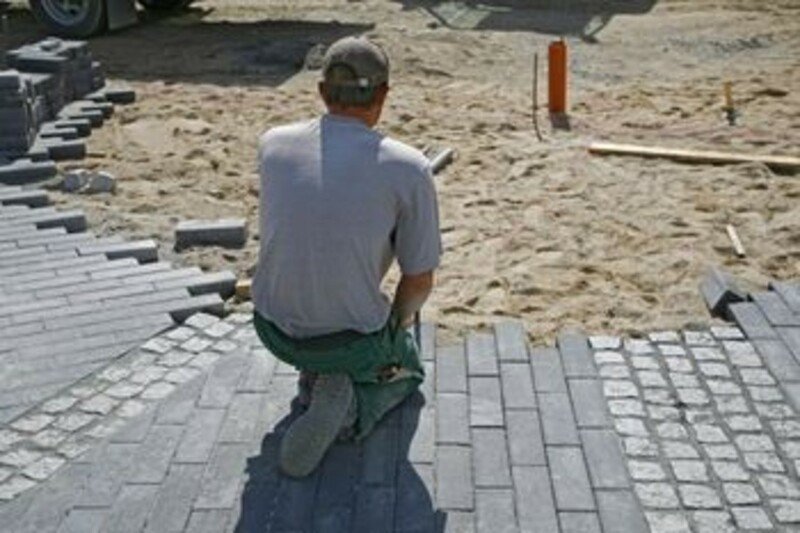 Rubber tiles, pavers and mulch products made from recycled tires and virgin rubber. 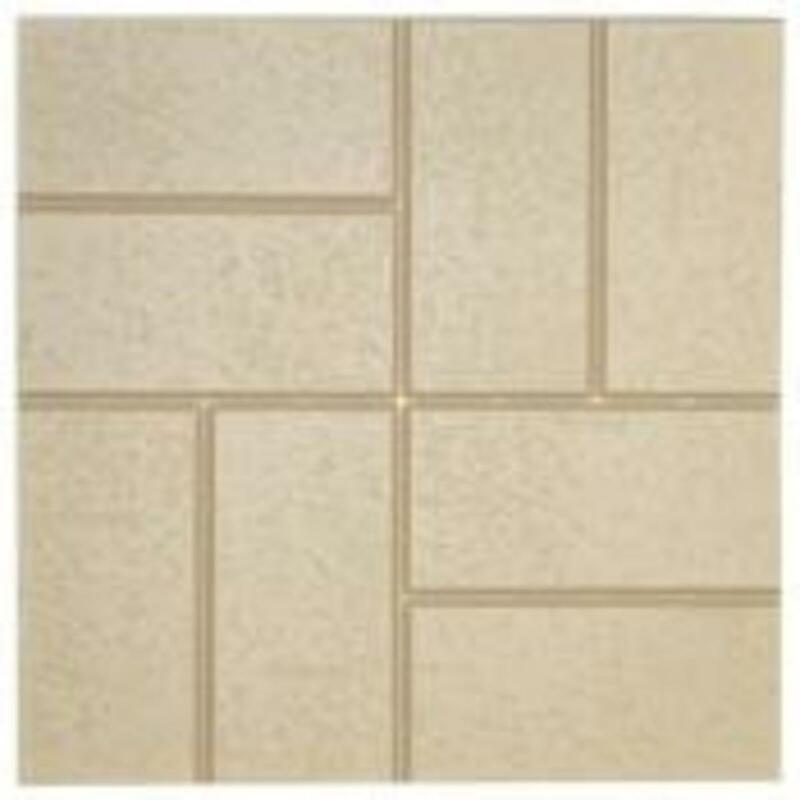 These products are highly resilient as well as slip resistant. 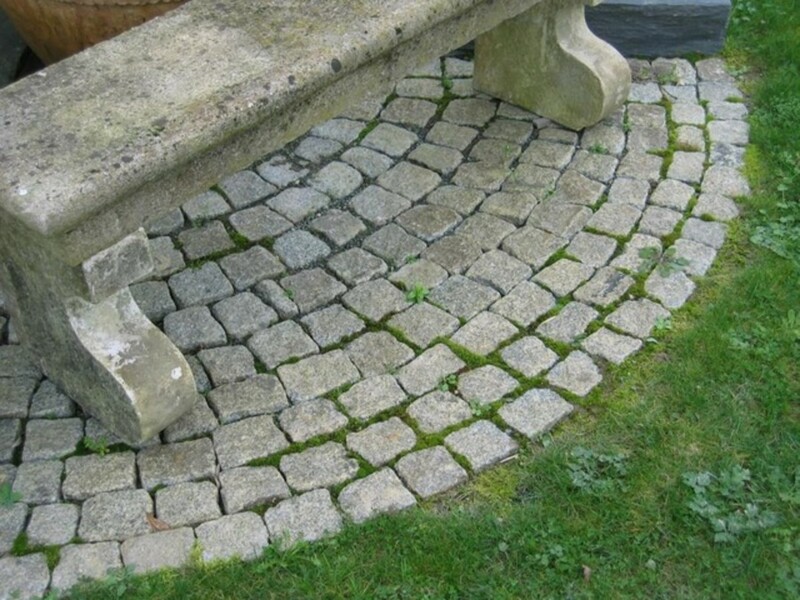 Whether you decide to use a recycled paving product or natural brick and stone pavers, your approach will be relatively the same in terms of site preparation. After the remains of the old patio had been jack-hammered out and the rubble was hauled away to the recycle center, we were ready to begin leveling the bed. As well, the outline for the new edge was marked on the lawn. Starting at the outside edge, we removed the sod and excess topsoil. The good black dirt was retained to be spread on the garden, but the clay and gravel went into a pile to use for leveling the base. The most important factor to keep in mind was the need for proper drainage. We needed to maintain at least a 3 degree slope away from the house. In the end, the house side of the patio was a consistent 2" higher than the finished outer edge. Once the base is scraped down, leveled and tamped, a heavy felt or landscape fabric is often laid. As the native soil was a heavy clay, and weeping tile had already been installed around the house, we opted to omit the felt layer. The native soil was heavy enough to discourage weeds own its own, and drainage was not at issue. We then laid a 6" deep bed of pea gravel, which was carefully leveled and tamped. Then that was covered with a thick, 2" layer of fine sand. 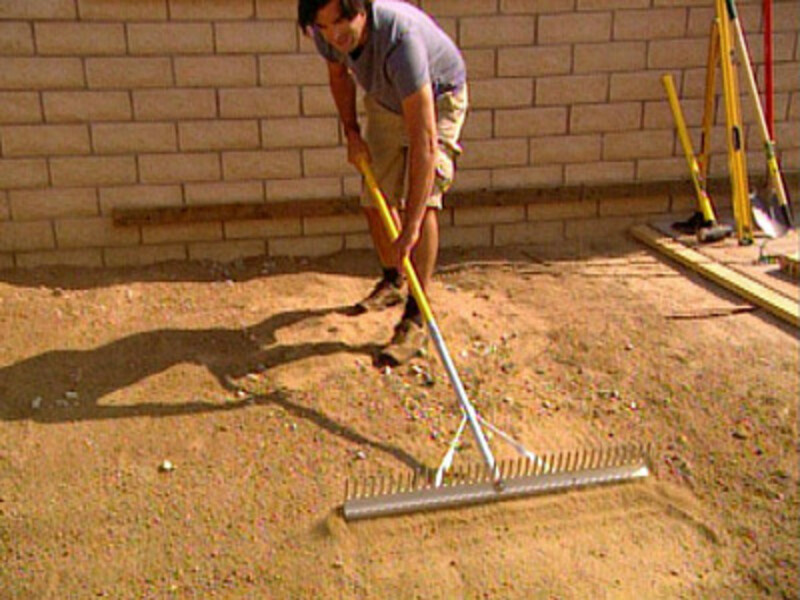 We used a huge leveling tool like the one in the picture to make sure the fine sand was evenly distributed and level, then we rolled it and added a bit of extra sand here and there to bring it back up to grade. Finally we were ready to begin laying the pavers. We had already worked out the pattern on heavy brown paper using the actual size of the pavers. Using string lines attached to stakes, we laid out the large grid, and centered the brown paper pattern, pushing a metal garden stake through the center. Carefully removing the paper, we folded it in half and then repositioned it in the center, so that it covered a half of its original area. 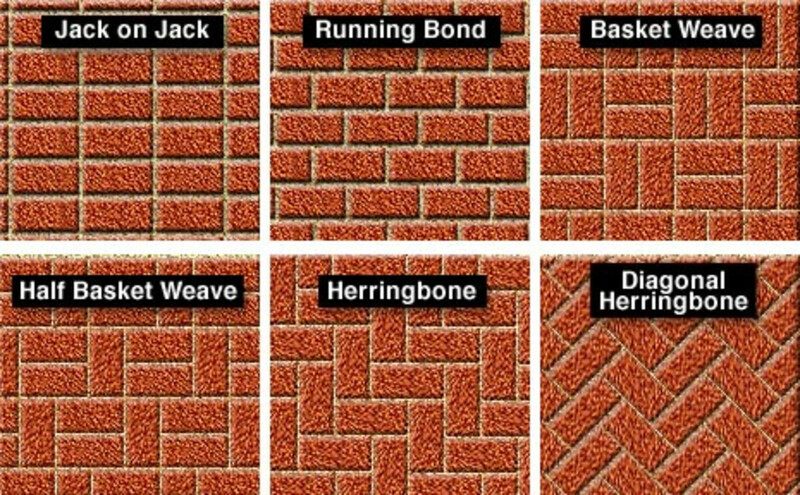 It made a perfect guide for laying the first few courses of brick circles, and for keeping us on track for the overall size. Each paver was tamped and leveled in place, and the level of each course of bricks was carefully checked. As well, we worked on large pieces of 5/8" plywood that we laid over the bricks and moved around as needed to avoid exerting too much pressure in any one spot. Once all the bricks were in place - a second weekend effort (the first weekend had been devoted to preparation) - we used stiff brooms to brush the remaining sand over the pavers, making sure to fill all the cracks evenly. All that was left after that was the final cleanup and celebration. We did wash down the patio and re-sand it once the first weekend, and made sure we had a wheelbarrow full of fine sand handy for the odd bit of crack filling that was inevitable. Since the patio was laid though, we have only had to replace a couple of bricks. One broke when a large, hot BBQ grill was dropped on it, chipping off a corner. The other fell prey to a metal snow shovel before we learned to sweep the patio regularly - not a bad total for the effort involved. So glad you enjoyed the hub - have fun with your yard project! This is a great Hub and I will definitely be using the information in my own yard! So well done. Many thanks! Thanks for the idea, eLightspot, and thanks for stopping by to comment. Great step by step, I think everyone appreciates you sharing! 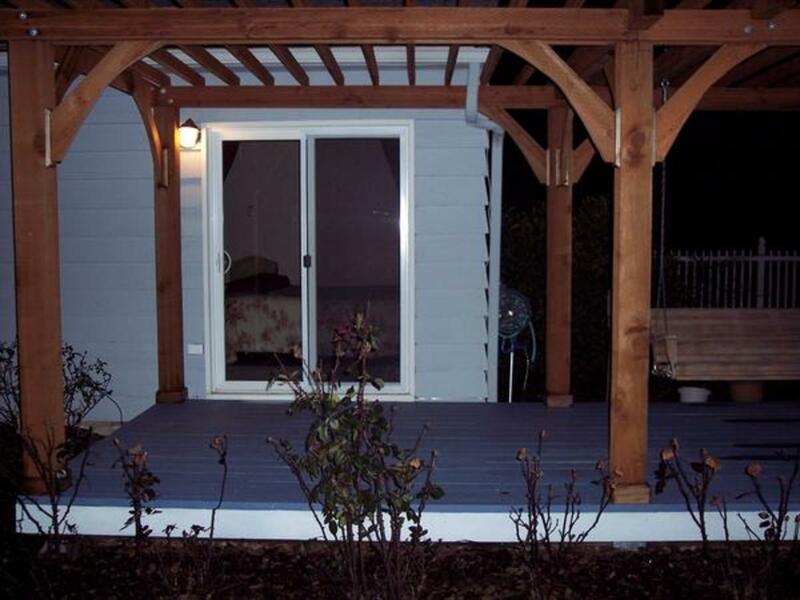 In your next hub, you should talk about installing the lighting on the patio as well. A fantastic hub. 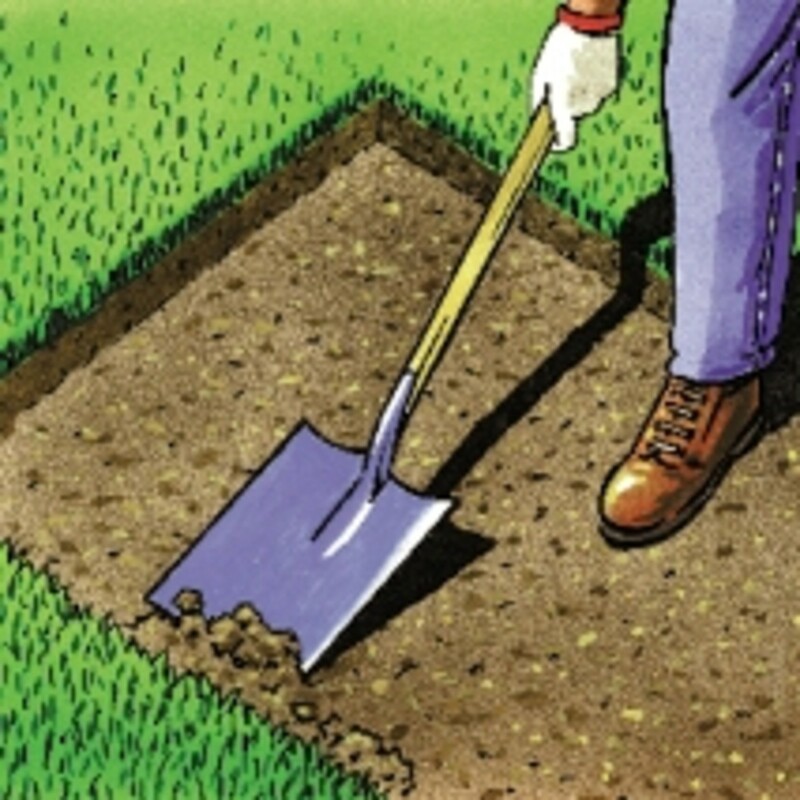 We have to replace a concrete slab in the backyard this coming summer. I was going to tackle it myself, after reading your hub I'm going to give that bit a lot of thought. i'm not sure if I'm up to it. Thanks for some great ideas. I would love a paver driveway someday! Thanks for stopping by to comment, garoutfur. Great hub and thanks for doing all the research. Pavers are a personal favorite of mine. I use to sell pavered driveways; they always looked killer. ...and thanks for your comments, Pavers! Thanks so much, ASFA123! So nice of you to stop by and comment. Thanks so much, Granny's House. Glad you enjoyed it. Great informative hub! I am about to do a project like this ....Thanks! I like the herringbone design. Great hub I rated up. Ooooh! I would love a flagstone patio. Some day! Thanks so much! Great instructions. I put a flagstone patio in a few years ago, and it was a lot of work. I did all of the proper prep work and installed gravel and sand, and I have not had any type of drainage or pooling problems at all, even in really strong rains. 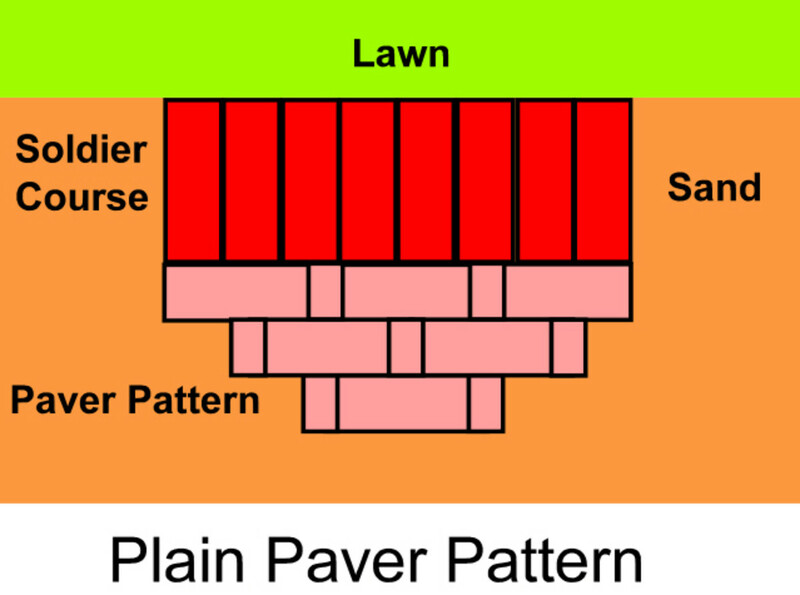 I still want to put in a pavers patio, so I have bookmarked your hub. Thanks for the great info! Awesome hub! I love the DIY hubs about home improvement. You obviously put a lot of time into this one....excellent job! Ty, Ty, my son laid brick sidewalk and patios for a summer so we got the real skinny on how to accomplish this. Will have to bookmark this hub for the spring ;) great job and awesome info for the d-i-y in all of us! 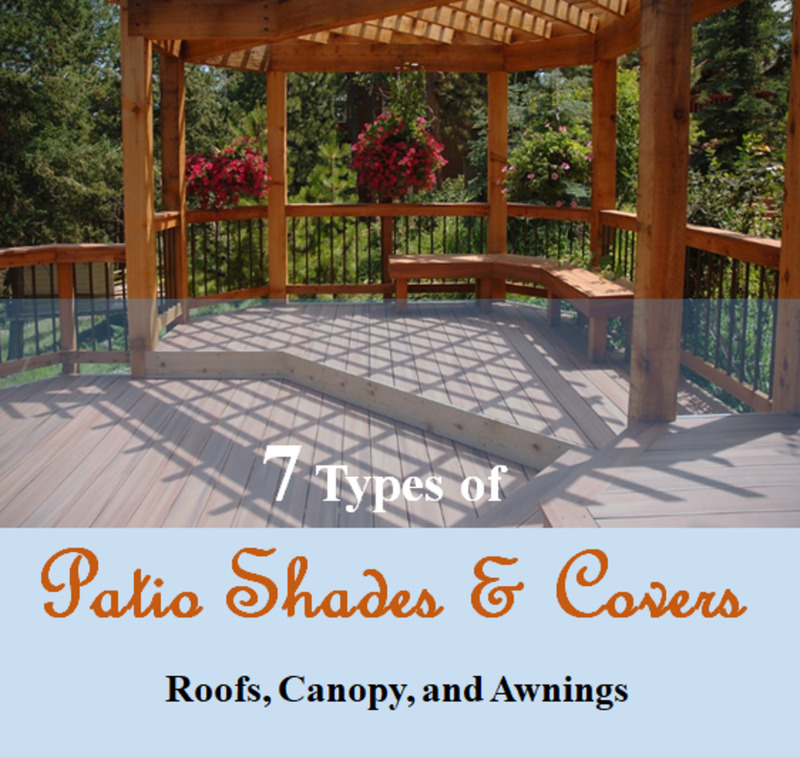 Patios can be big or small projects and look fabulous once they are done - good luck to you, Artemus Gordon - are you also a fan of Wild Wild West? I need to do something outside my back door. I would like to have a deck, but worry that it would need too much care. So I will probably end up with a patio. Thanks again, Candie V. Wish I could be there to enjoy it, LOL, but come on over anyway - there's a picnic table in the yard of the apartment building! Thanks so much, Joel! We were very lucky that my son had spent a summer laying brick walkways, etc., for a construction company. Thanks so much Beth100. So glad you enjoyed the Hub! Nicely written. I've forgotten how many different patterns one can make with brick...it's been a while. Thanks for the refresher course! BTW, beatuiful patio! You've earned yourself a thumbs up AND a new fan! RedElf! I love your new patio! 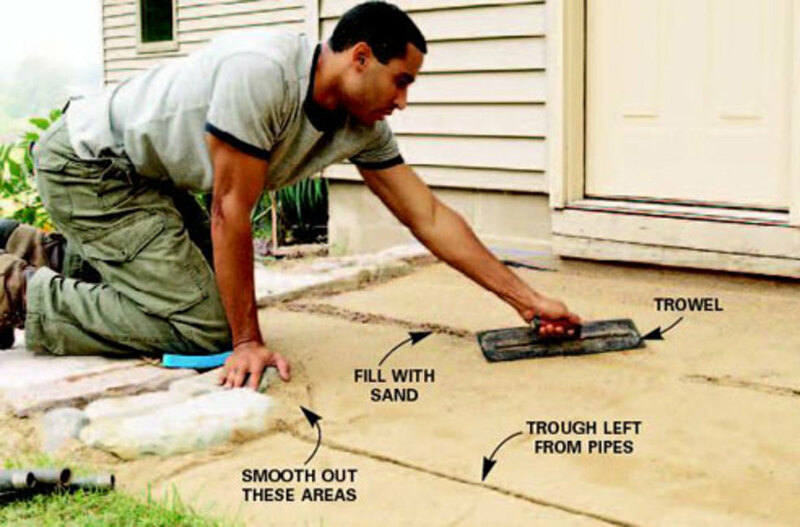 Brick just makes it feel like you've put a lot of thought into your patio, not just a plain, poured slab! I'll be over for a BBQ next summer! PS.. check your email in-box!! Hugs! !